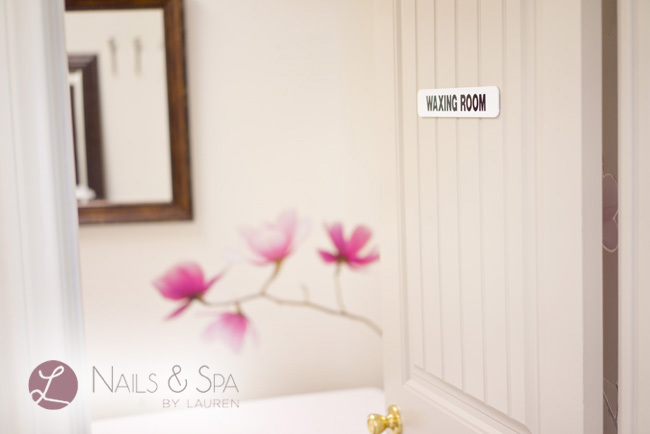 At Nails & Spa by Lauren, we really care! 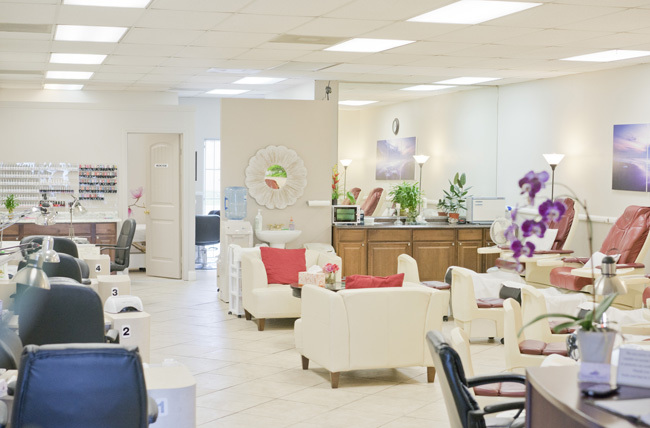 We are a full service salon for nails and waxing, dedicated to providing excellent customer service, using high-quality products, and following the strictest sanitation practices. We're proud to provide a relaxing and comfortable atmosphere at a great value. We promise excellence and only use quality products from brands such as OPI, CND, Perfect Match, and Gelish. When you're here -- sit back and relax! Our friendly team of English-speaking staff are all licensed with a minimum of 2+ years of experience. We'll take care of everything and ensure that you leave happy with our service. Please visit us today -- we always welcome walk-ins! If you're in a time crunch, you can call or text (619) 564-1437 for availability or to book a future appointment. 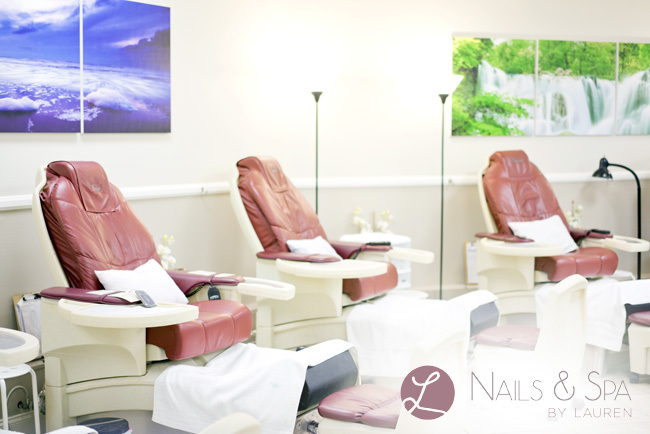 We have just installed brand new, state-of-the-art pipeless spa pedicure chairs. The pipeless system provides the highest standard in cleanliness. Disposable pedicure liners are available for your pedicure service to provide additional protection. These chairs also feauture a variety of amazing massage functions. Come check them out! UPDATE (09/17/2015): Our pedicure chair system passed 100% on the inspection by the State of California, Board of Barbering and Cosmetology! We use disposable supplies and separate containers for facial and body waxes. Bikini wax for females only. Please contact us to book your event! We take sanitation seriously! Many of our supplies are disposable and we disinfect all tools after every client. 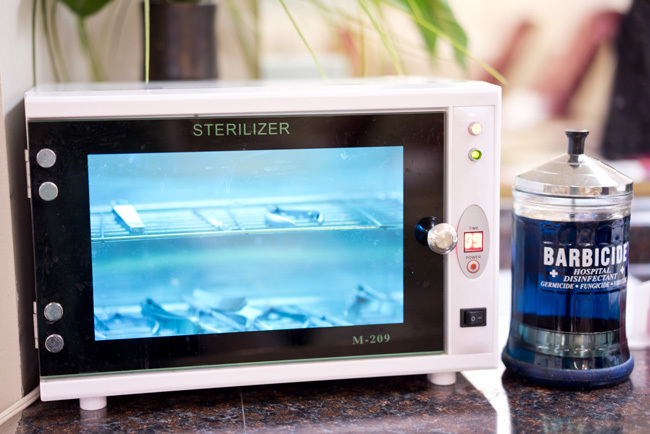 The safety of our clients is our top priority -- we use hospital-grade disinfectants and sterilizers to clean all tools to prevent cross-contamination. 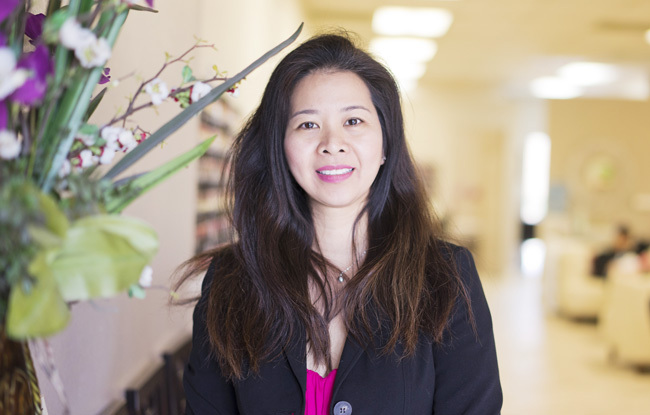 Lauren is a licensed esthetician and manicurist with over 19 years of continuous experience serving San Diego. She is personable, professional, and detail-oriented. 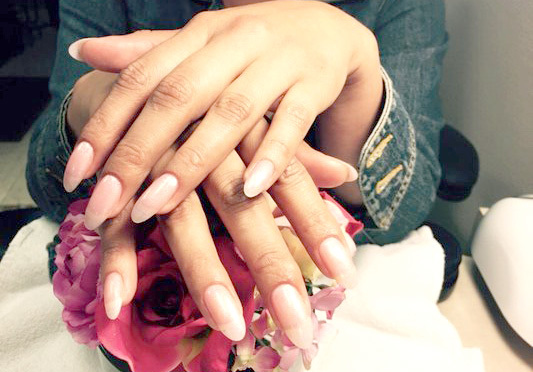 With nearly two decades of experience, Lauren's skill really shines through in her nail services and speedy (yet gentle!) waxes. We welcome both walk-ins and future appointments! Looking for a gift? 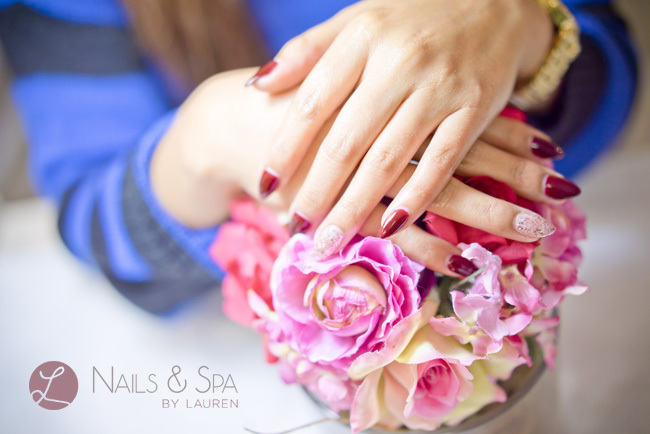 How about a gift certificate to Nails & Spa by Lauren? 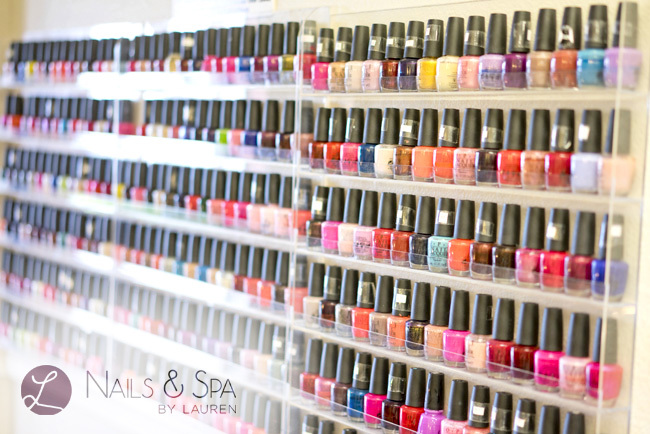 Treat your family, friends and co-workers to some mani-pedi fun!  © 2015 Nails & Spa by Lauren.